The Toronto AES is celebrating its 50th year as a section of the Audio Engineering Society, and we’re holding a special two day long seminar to mark this special milestone! We’ve invited some of the AES’s best friends to join us, with presentations and interactive panel discussions that will highlight the state of the audio industry in Toronto, and show off some of our best achievements. 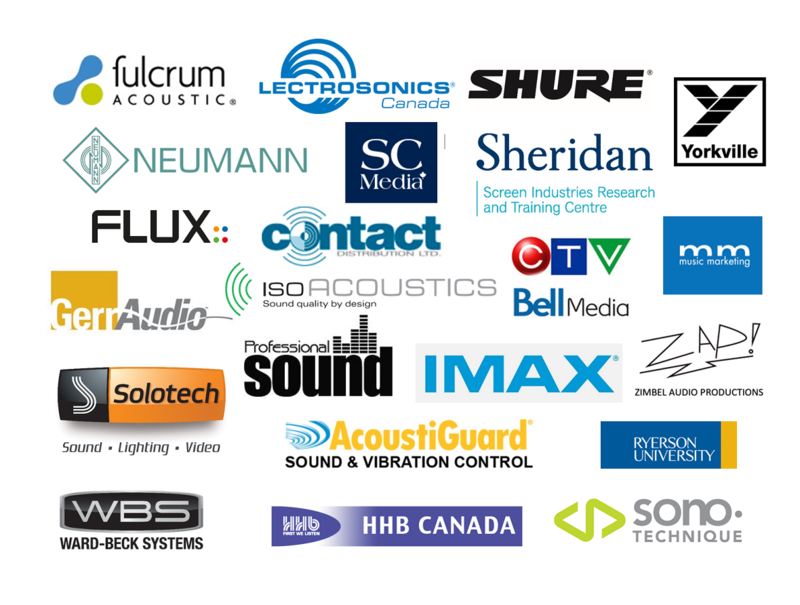 Fulcrum Acoustic, Shure, Neumann, CTV Bell Media, Yorkville, GerrAudio, Solotech, HHB Canada, Contact Distribution, AcoustiGuard, Lectrosonics, SonoTechnique, Professional Sound, AKG Harman, Music Marketing, CBC, Outboard UK, Technicolor are just some of our guests, along with a who’s-who slate of independent technologists and engineers. This event will also provide a fantastic opportunity to network, socialize and expand your career opportunities. Join us at Sheridan College’s Screen Industries Research and Training Centre (SIRT) in the state-of-the art Pinewood Toronto Studios located in the heart of the city’s film and television studio district. We are celebrating who we are, where we have been and where we are going: here’s to the next 50 years! ALL EVENTS ARE BEING HELD AT SIRT. “Sonic Circus” is a fantastic opportunity (as is the entire seminar) for audio professionals and students to network, meet the main players in Toronto’s audio industry and boost their careers. And of course, we are Celebrating Toronto’s Audio Future. The reception will start at 6:30 pm, and includes light fare and refreshments, and resume after the presentation. Canada’s public broadcaster has been at the forefront of implementation of digital technologies in the television, radio and Internet broadcast services. Ron Searles, Senior Post Production Audio Engineer at CBC Toronto, will be joined by CBC colleagues to give us an insiders’ perspective of these exciting changes. TNT Grocery (222 Cherry Street, 416-463-8113). Both are approximately a 10 minute walk/short drive from Pinewood. A Friend past this unto me and yes I would like to be part of this. Please send me more info on this sooner for me into the future. Joining the AES is the best way to get advance notice of our events… we try to publicize in Professional Sound and similar, but our main way of letting people know about events is through their membership. Our HQ provides us with an email list that we use to send direct notifications. Becoming an AES member is easy, goto http://www.aes.org/membership/. You’ll also then get notifications of other AES events, such as our yearly convention, either in NY or San Francisco, and attended by 14,000 people. I would like to attend such events, may i have such notifications perhaps 6 months before to enable preparations. I would like to also become a member of your organization how can i do that?